﻿Description: This naturally healing lip balm is made with fresh, natural, organic, local, handpicked Calendula flowers that have natural antiseptic, anti-microbial, anti-inflammatory and anti-fungal qualities. Calendula contains naturally occurring carotenoids, and pro-vitamin A help to soothe, heal and nourish skin. A safe, natural, gentle, effective lip balm. Its main base of olive oil is soothing/protective. Studies have shown that olive oil may help reduce the free radical damage which happens to skin from sun exposure. It includes natural plant oils of vitamin E & jojoba oils which possess natural healing and soothing qualities. It may be soothing on mild wind or sun burned lips.To moisturize and protect everyday, especially when outside in thewind/sun/cold.Great for soothing sun exposure from skiing and surfing. 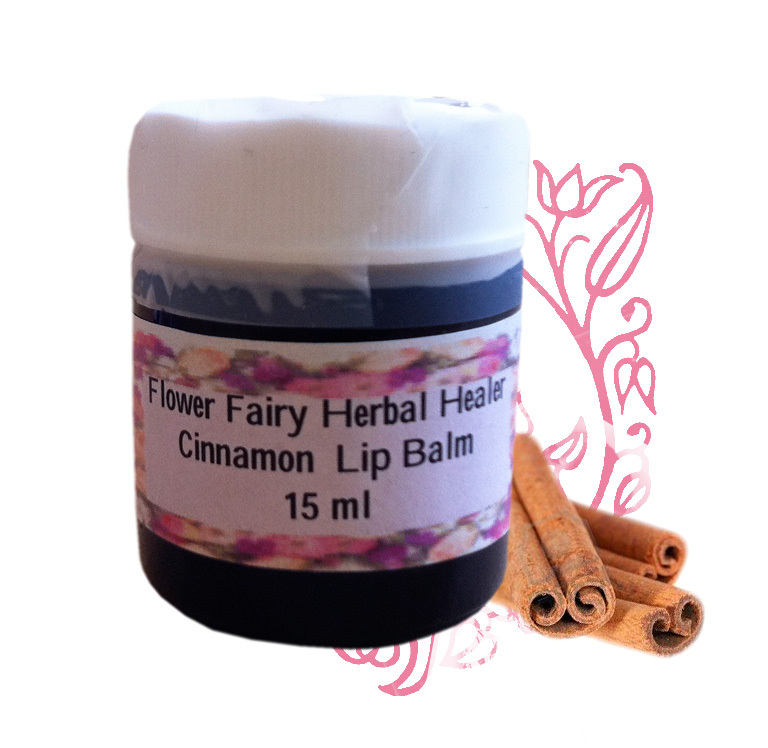 Use throughout the day and before bed.The essential oils of cinnamon provides mild tingle sensation and fresh cinnamon flavour,taste/smell.We have a non-scented, plain balm on our web site. Ingredients: fresh, natural, organic, local, hand-picked Calendula flowers. Cold pressed extra virgin olive, Sunflower, natural vitamin E and jojoba oils. 100% certified organic, fair-trade, pure natural essential organic Cinnamon oils in a base of local bees wax. In an amber glass recyclable jar.